You may have heard that recently, Google released a change to its algorithm that boosts rankings for websites that have mobile-friendly websites (meaning that they are responsive, and adapt to better fit the mobile phone or tablet device that a user is searching on), and penalizes websites that are not as mobile-friendly. Read Google’s announcement here. We know hosting and maintaining a website can be overwhelming, which is why we recently started offering services to manage the mobile-friendly online presence for our merchants. If you already have a website, we’ll make it mobile-friendly. If you don’t, we’ll build you one from scratch and even maintain it so you don’t have to. 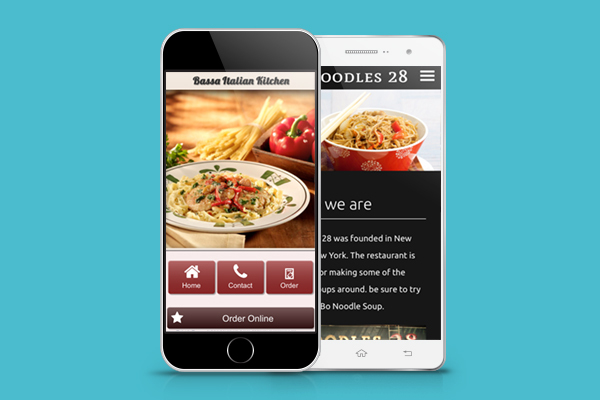 See a live example of Bassa Italian Kitchen and Noodles 28, and make sure to view them on your mobile phone, too! If you’re interested in these services, please get in touch with us at accounts@delivery.com to learn more about how we can build and maintain your mobile-friendly website.